This special issue is an outgrowth of the fourth international symposium on Statistical Analysis of Neural Data (SAND4). The first such symposium was conceived a decade ago as a response to a striking anomaly: although quantitative methods had had a profound influence on neuroscience, there had been remarkably little interplay between neuroscience and contemporary statistical practice. Major advances in recording and imaging technologies had put into the hands of investigators wonderful tools for conducting previously unimagined experiments, yielding rich neuroscientific data sets. These data sets were, however, often large and complex, so that novel methods of analysis would be needed if the wealth of new information were to be turned into useful knowledge. 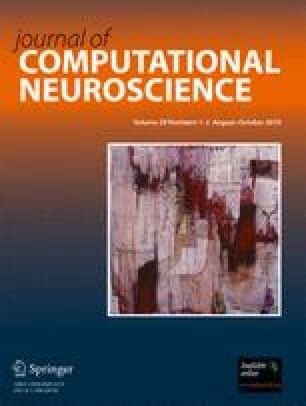 Furthermore, while there had been an explosive growth in statistical and machine learning techniques, it was apparent that the most effective approaches often had to be tailored for particular application areas and very little of this had taken place in neuroscience. There was thus an urgent need for specific methodological developments in the context of particular neuroscientific applications. The SAND symposia therefore aimed to encourage discussion and dissemination of methodology for the analysis of neural data. Following the fourth symposium in 2008 a call for papers was posted publicly, and this special issue is the end result. Many of these papers resulted from work presented and discussed at SAND4 and I therefore gratefully acknowledge the support of NIMH and NSF, without which the conference would not have been possible.